Migratory birds generally follow routes in a north-south direction as they migrate between nesting and wintering areas. While there are exceptions to this rule, biologists have identified four major biological flyways in North America: Pacific, Central, Mississippi and Atlantic. These are the foundation of four administrative Flyways established to facilitate management of migratory birds between the U.S. Fish and Wildlife Service, states, and Canadian partners. What is the Central Flyway? 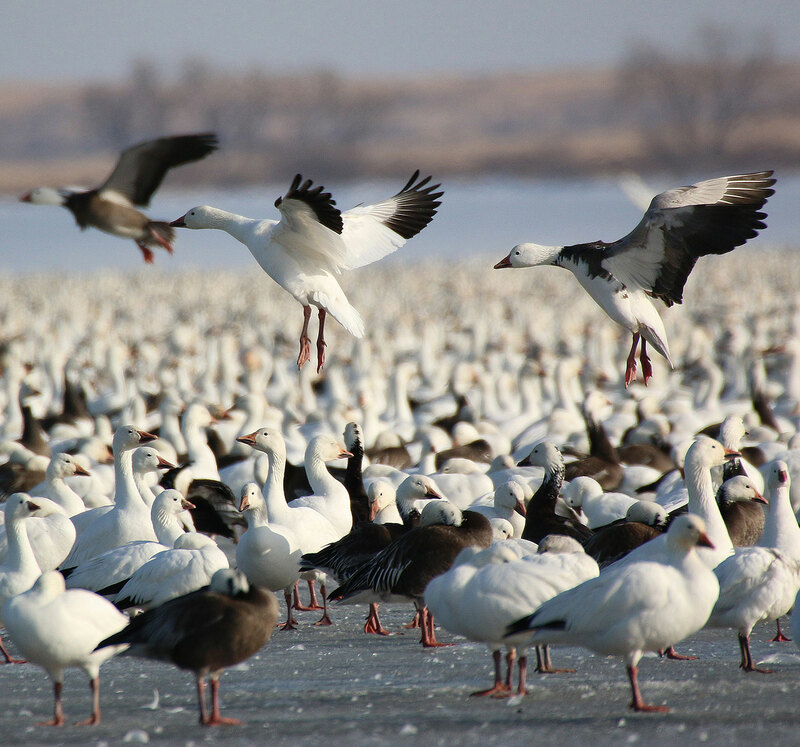 Central Flyway Council Mission: To provide leadership in the international conservation of migratory game birds and build partnerships among public and private groups interested in this valuable wildlife resource. The Central Flyway Council was established in 1951 to represent states, provinces and territories within the Central Flyway. There are 10 states in the Central Flyway: Montana, Wyoming, Colorado, New Mexico, Texas, Oklahoma, Kansas, Nebraska, South Dakota, and North Dakota. 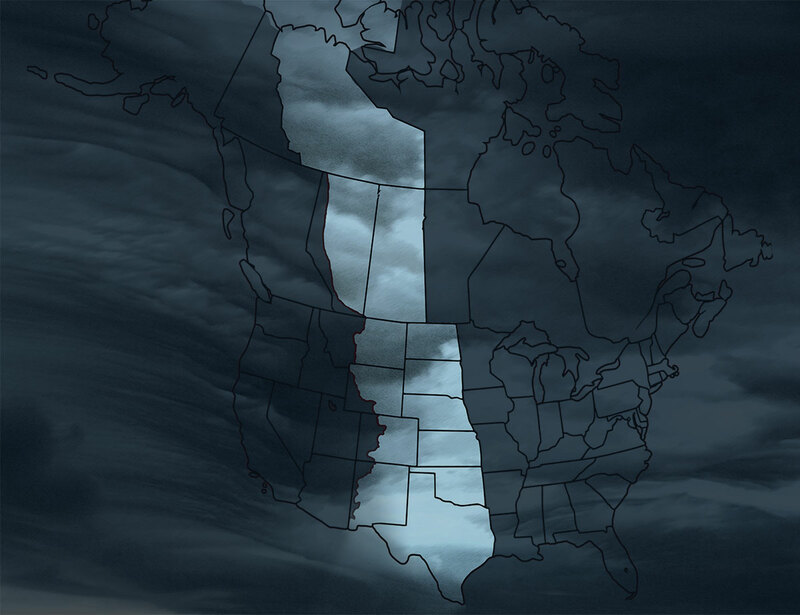 The Canadian provinces of Alberta and Saskatchewan and the Northwest Territories are members of the Central Flyway Council. The Central Flyway Council consists of representatives, usually top-level agency administrators, from their respective state, provincial, or territorial wildlife agencies that have management responsibility for migratory bird resources in the Flyway. The primary function of the Central Flyway Council is to, in conjunction with the Councils of the other three Flyways, work with the United States Fish and Wildlife Service (FWS) in the cooperative management of North American migratory game birds. As the knowledge of and awareness for migratory bird issues has grown over time, the Central Flyway Council’s role has expanded to include non-hunted or nongame birds. Four technical committees serve and advise the Central Flyway Council. Committees meet 1-2 times per year, including jointly with Council, to share information regarding ongoing research, monitoring, and management issues about migratory birds. The technical committees often collaborate on issues of interest and shared authority, such as federally threatened or endangered species or non-hunted migratory game bird species. Waterfowl Technical Committee – established in 1953 to provide technical information on waterfowl, including ducks, geese and swans, and one rail species (American Coot). Webless Migratory Game Bird Technical Committee – first established in 1967 as an extension to the dove committee to include species other than doves, such as snipe, rails and cranes. The current name for this committee was established in 2001 and it provides technical information on the hunted webless game birds, including rails, gallinules, moorhen, and other coots, cranes, woodcock and snipe, crows and pigeons. Central Management Unit Dove Technical Committee – first established in 1966 specifically for mourning doves and later expanded to include other webless birds, several dove species, and pigeons. The current name for this committee was established in 2007 and it provides technical information on all hunted doves. The states of Arkansas, Iowa, Minnesota, and Missouri are also represented on this committee. Nongame Migratory Bird Technical Committee – established in 2007 to provide technical information beyond game birds, including all migratory birds that are not traditionally hunted. In the course of fulfilling its mission, the Central Flyway Council (CFC) has demonstrated its philosophies annually by words and actions backed by dollars. As of 2017, the CFC has committed over $4,100,000 to funding projects either solely, or in cooperation with other entities on larger projects, to ensure sound migratory game bird management. The CFC strives to manage migratory game birds in a manner that provides protection to their populations and habitats, but also ensures that the traditions of sport harvests of migratory game birds are successfully continued. Through its involvement in issues and projects and a steady philosophy associated with improving the status of migratory birds, the Central Flyway Council continues to exert significant, positive influence on migratory bird management in North America through the discharge of policy by sound science.